'Big Mouth " pencil pouch workshop is ready to go! 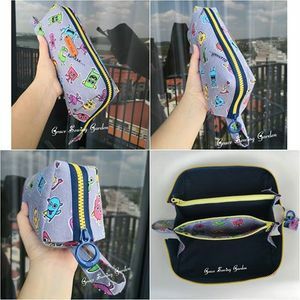 Big-capacity pencil pouch! It's spacious inside with a wide zipper opening so you can see everything at once. It has 2 inner pockets that gives it 5 individual slots to put your stationeries - yay to more tidiness and organization. You will need to know how to operate a sewing machine in order to join this class. ~ How to work with cut-to-length yard zipper tape and top stitch. ~ A little hand stitching is required for the lining.